And not just any hammers — we’re talking massive, gravity-defying crusher hammers that usually appeared from the most unlikely places. Have a roadrunner to catch? Sure – just whip out your impossibly large, industrial-sized tool from behind a desert highway sign! So What Exactly Are Crusher Hammers? Despite their name, crusher hammers don’t actually look anything like traditional sledgehammers, framing hammers, or run-of-the-mill, handyman hammers. Crusher hammers are large, industrial machines that crush, grind, and spin material into smaller sized pieces, chunks, or powder. These machines can be stationary (fixed) or mobile. They are constructed mainly from metal and can weigh up to 30 tons each. Crusher hammers work by creating a high-speed collision between the massive hammer faces and the raw materials being fed into the machine. 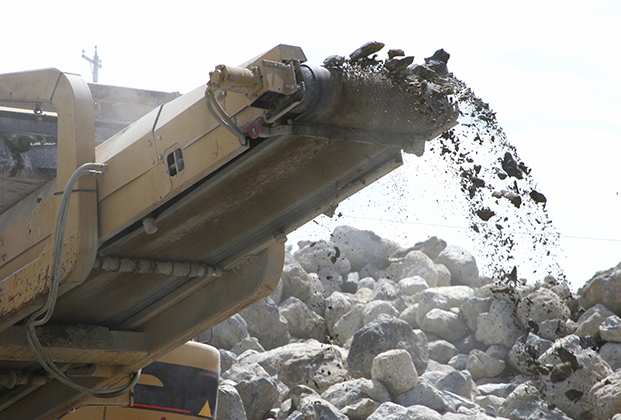 Each crusher hammer is comprised of a powerful, high-speed motor that is connected to an axle (or rotor) via a drive belt. Numerous hammers (heavy-duty slabs of metal) are affixed to this rotor; the size and style of the hammers vary, depending on the application. The rotor or axle is contained inside a reinforced solid enclosure that has a feed chute. When the crusher hammer is powered on, the hammers rotate on a high speed rotor element. Any material that is fed into the chute is struck with tremendous force by the face of the hammers. This causes the material to break down and discharge through the exit chute. Depending on the size of the crusher hammer, the speed of the rotor element, and the raw material being fed into the machine, the crusher hammer can create various sizes and textures of crushed product. It can shred raw wood pulp for use in paper mills, reduce large pieces of coal into smaller chunks, and pulverize rocks into dust. The impact area, over time, wears away and must be rebuilt; or the hammer must be replaced. Crusher hammers are commonly used in tough, demanding environments like coal plants, pulp and paper mills, stone quarries, forestry sites, and highway maintenance operations. They are also used in food processing plants to extract oils from seeds, grind coffee beans, and break down waste materials such as animal by-products. How does Kennametal deliver cost-effective wear solutions for crusher hammers to tackle the world’s most demanding environments? Ask a Kennametal Specialist about our Tri-Braze™ Wear Plates today! Catch up on our past two articles in this Industry Wear Solutions Series! First, we provide an Introduction to explain what Wear Solutions really are. Next, we explore our first product: Mechanical Cyclones. Following this post, Loader Liner and Buckets will take the stage. Thank you for staying tuned!